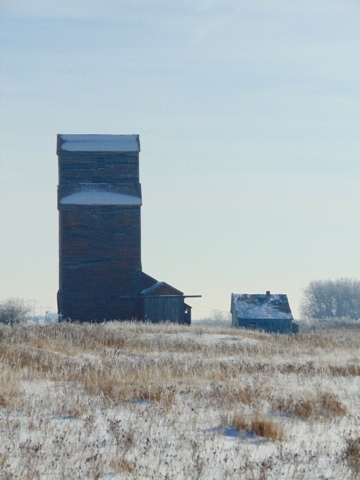 Neelby, Saskatchewan November 12, 2017. 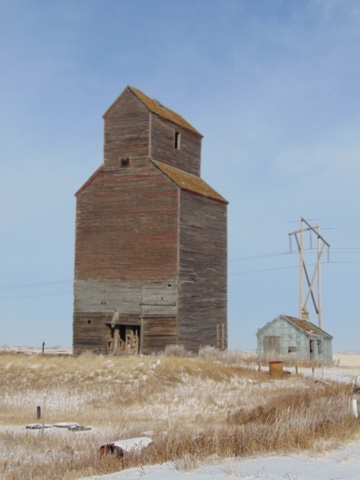 I have seen a fair number of grain elevators. A number of them are picturesque. These ones look sad. One of them has a definite lean. Neelby is just barely west of Kipling. 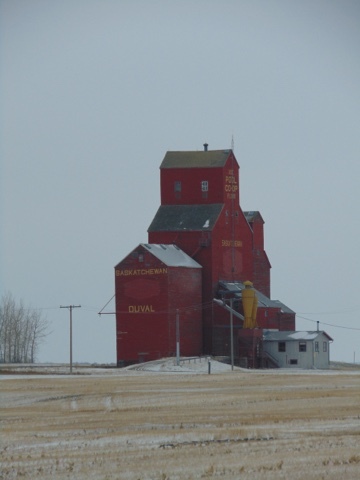 Saskatchewan July 15, 2017 on the way to the St. Laurent Ferry. 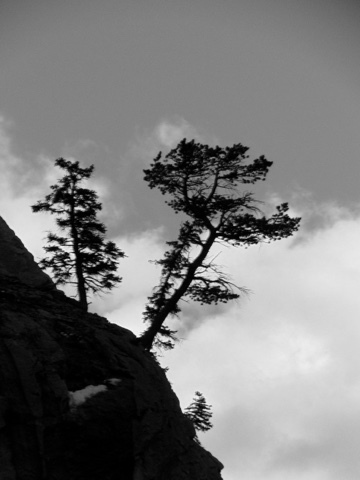 Attempting something in black and white. 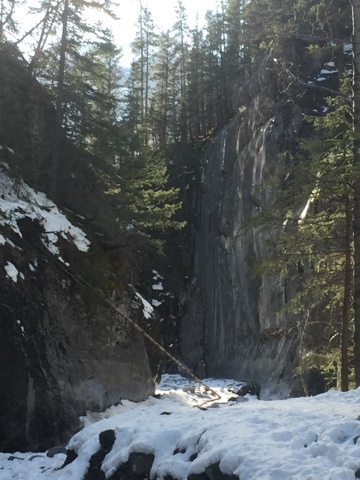 Spotted this on October 28, 2017 near Canoe, British Columbia. 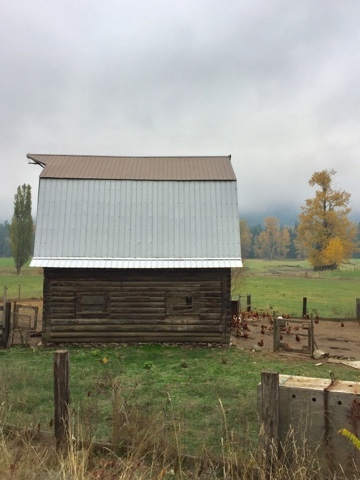 It is a barn but obviously the chickens staged a successful revolt and declared it a chicken coop. I bumping this from yesterday because I think it deserves to be seen. This video is well worth watching. I know a couple of the people in it and they do some some really great stuff. 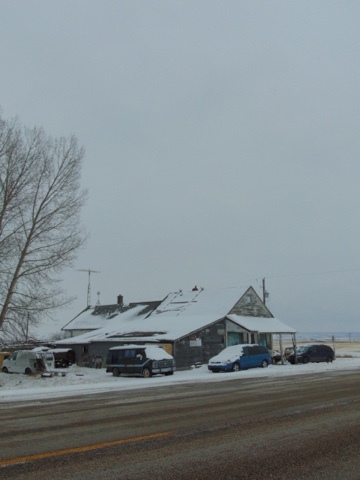 This is for anyone that has ever wondered what happened to a small town and gives you an idea of what southern Alberta and Saskatchewan look like. 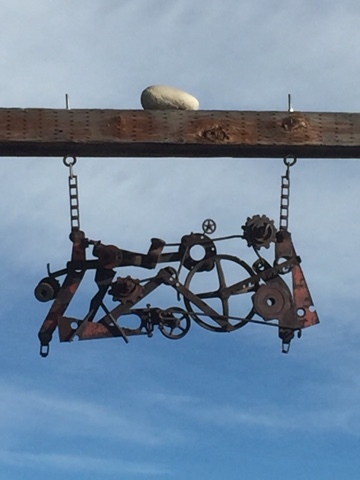 Not sure what it is. 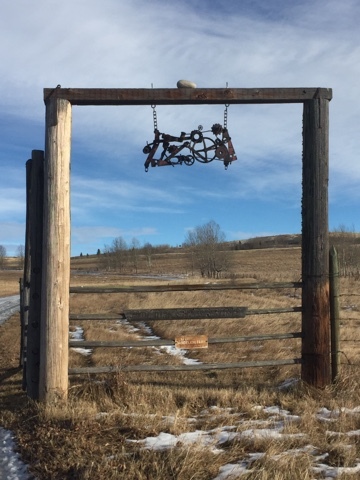 Saw this outside Cochrane, Alberta November 22, 2017. 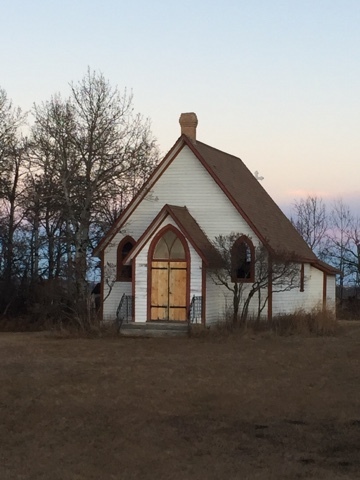 Little country church near Pine Lake, Alberta November 26, 2017. I have posted this on a prior visit. 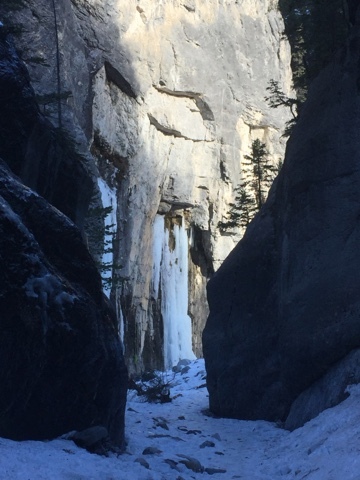 Some places are worth seeing more than once. Winter is already making things look drab. Time for some colour. 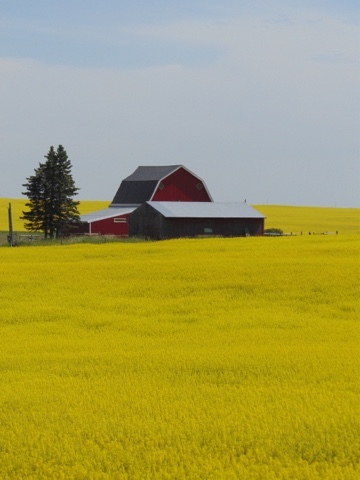 Field of Canola near Dogpound, Alberta July 8, 2017. 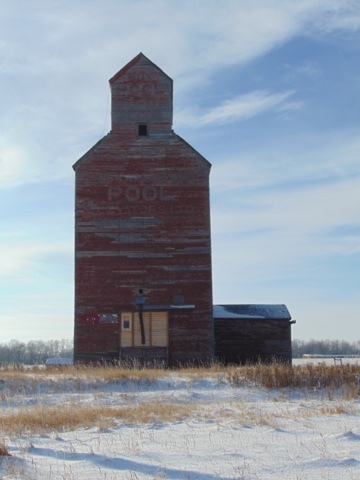 There actually is a place named Dogpound in Alberta. I had to burn a couple of vacation days. I am not good at taking vacations since I do a lot of stuff on weekends. Usually I create a few four day weekends and take some short trips. 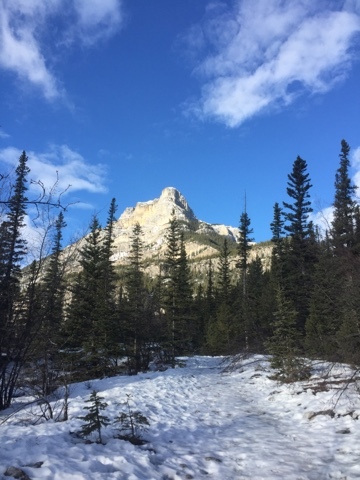 I had taken November 23, 2017 off and decided it was time for a short hike. 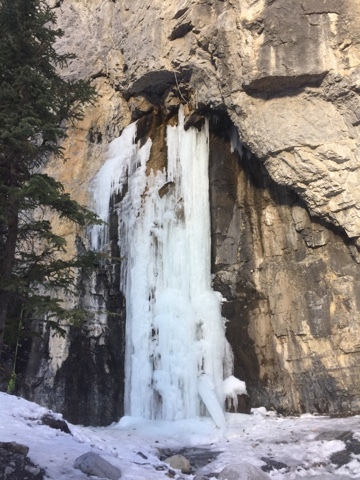 Gotto Canyon is a well known spot not far from Canmore, Alberta. 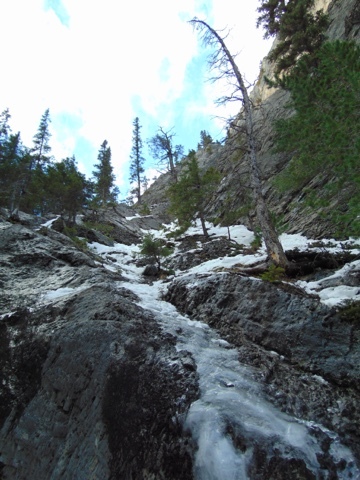 I hiked in with my brother-in-law about two to three kilometres. 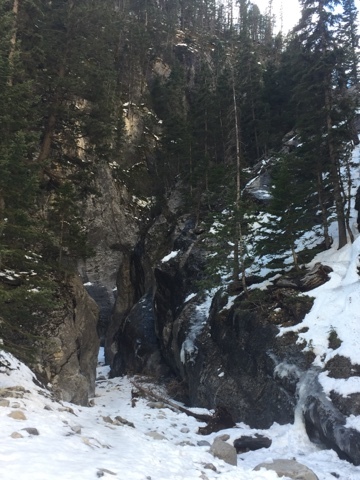 The path goes right into the canyon and eventually opens up into a wider space. On the plus side I found out that I am in better shape that I thought. To be fair that is not saying much. 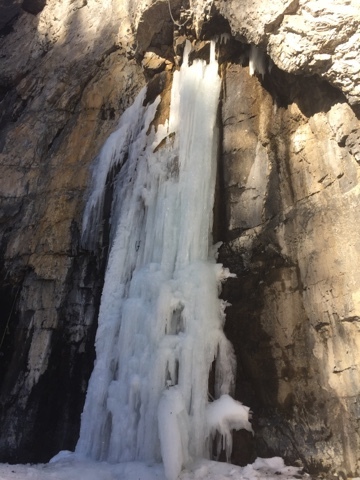 A couple of sheets of ice. 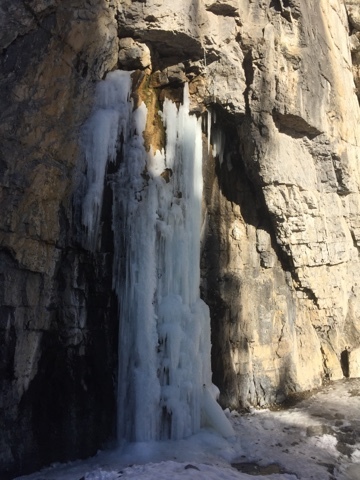 The rock walls are a popular climbing spot. 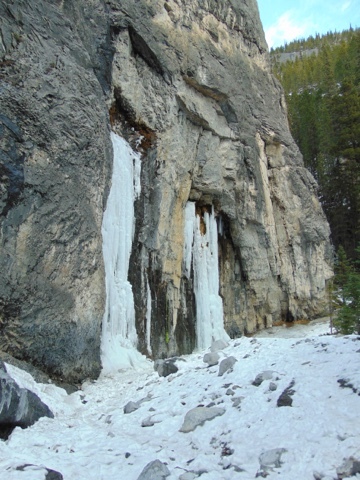 There are lots of hooks embedding in the rock. This is about as narrow as it gets. Just beyond the last spot I found the rock stackers have struck again. Friday November 10, 2017 I had to be in Edmonton, Alberta for a personal matter. My employer was giving everyone the day off the following Monday for Remembrance Day which fell on the Saturday. After my meeting I had three days to come up with something to occupy my time. Other people may come up with a constructive use of their time. 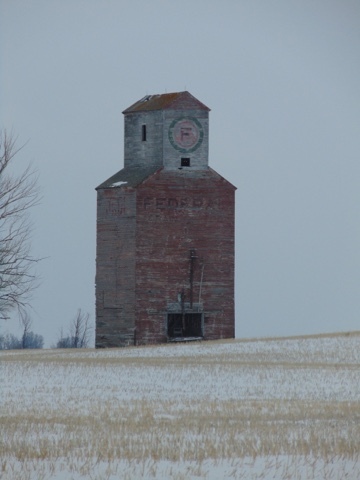 I do things like drive to Bender, Saskatchewan to take a photo of an abandoned grain elevator. It was a ridiculous distance to drive. On the plus side I can take Bender off my list. 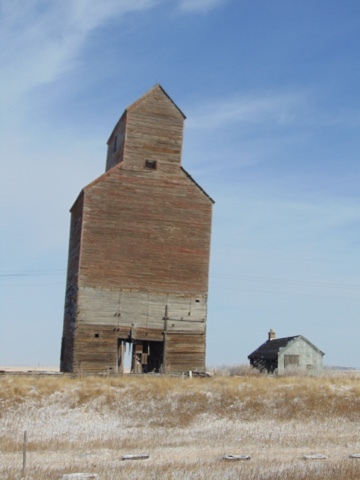 There is nothing in Bender except this elevator and an old schoolhouse. Someone cut a garage sized door into the school, installed a garage door, and turned it into a garage. 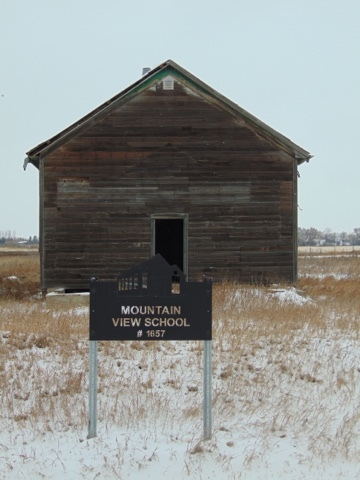 I could not bring myself to take a photo of the school and post it. The rail tracks by the elevator were torn up years ago. 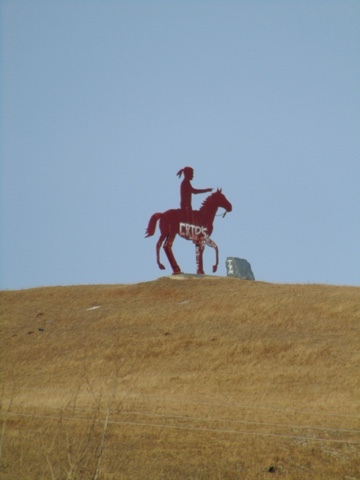 This sits on top of a hill on the Stoney Reserve west of Calgary. I had to really zoom in on this. I do not know what is at the top of the hill. I admit to a bit of a pen obsession. 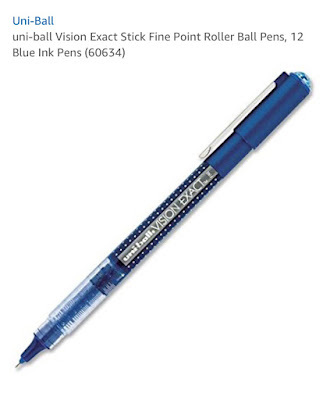 I usually buy a small handful of pens at a time. I like inexpensive pens that write decently. Through use, and forgetting where I put various pens, I found myself in need of some more pens. On the weekend I dropped into one of the few remaining stationery stores left and bought from pens from the ever diminishing selection. I am irritated to find they no longer carry Staedler pens. The world is becoming a sadder place. I loved these when you could buy them. Now that I have found another favourite they will stop making it. Bale out! Bale out! Bale out! 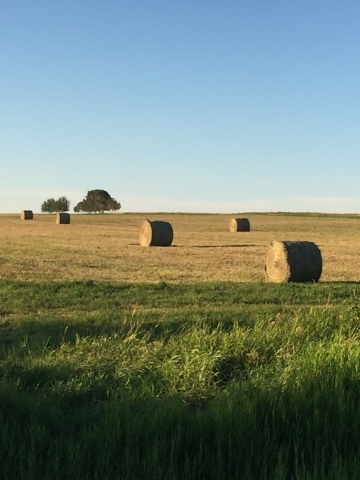 You were all wondering when I was going to post bales again. 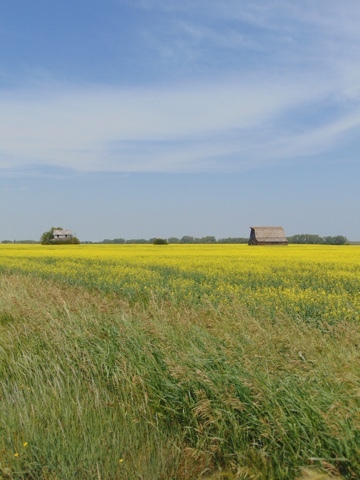 On Highway 20 between Duval and Govan, Saskatchewan. There used to be a little more here. 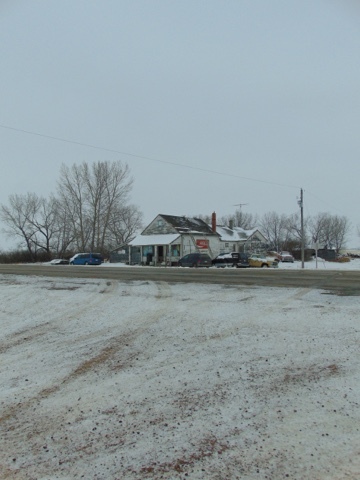 All there is now is an old general store. I did a quick stop because this is an old general store and you rarely see these anymore. I wanted to go in but the windows looked like there were garbage bags taped over them on the inside. There were lights on inside and no open/closed sign. I think there was life inside since lights were on. It was Remembrance Day so they might have been closed. It might have also not operate as a business and it might only be a residence. 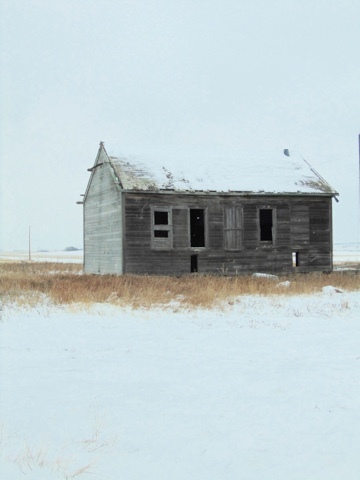 I know years ago it was common for people that owned and operated a general store to live in the back. I did not knock because I did not want to disturb anyone. I really wanted to see the inside. I may have to do a return trip. 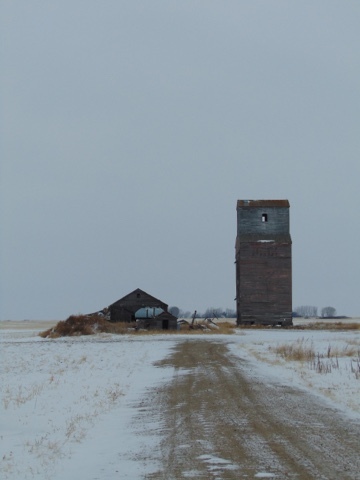 How hard can it be to find a grain elevator? 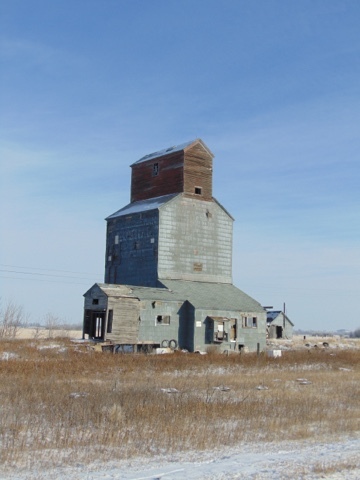 Tried and succeeded in finding the grain elevator at Tate, Saskatchewan on November 11, 2017. The problem was it was not at Tate. Actually there is nothing at Tate. There once was a village beside the railway tracks called Tate that existed from 1903 - 1968. Nothing exists of Tate now. I found out later there was a stone marker showing where Tate once existed. 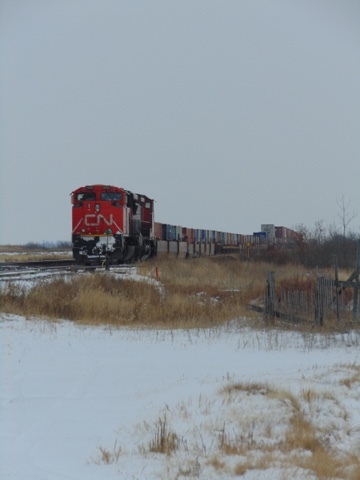 I saw a train parked near the rural crossing. 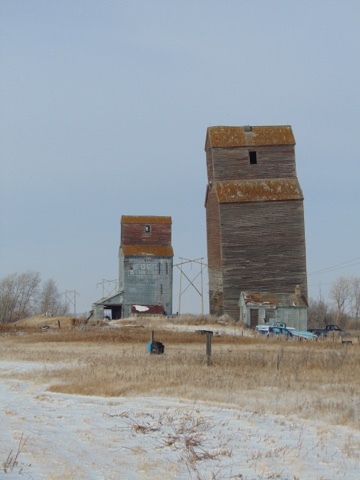 From the bare research that I did there should be a grain elevator in the vicinity. 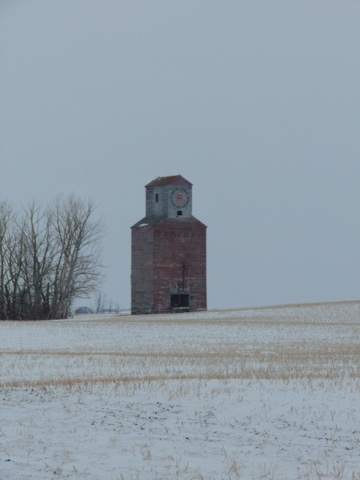 I drove a bit south then I spotted what looked like a grain elevator in the distance. Then a bit west, then a bit south to get closer. 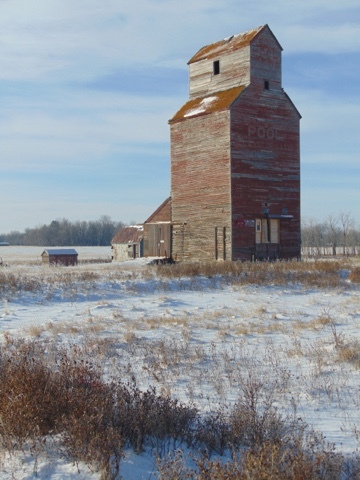 I am guessing this was the grain elevator from Tate that is now on someone's farm. It cannot be easy just to move an elevator from one spot to another however a number of them did end up in different places. This is a Federal elevator. Federal was formed in 1929 when nine companies merged together. It definitely looks abandoned. It still looks solid and should hold up for a few more years. 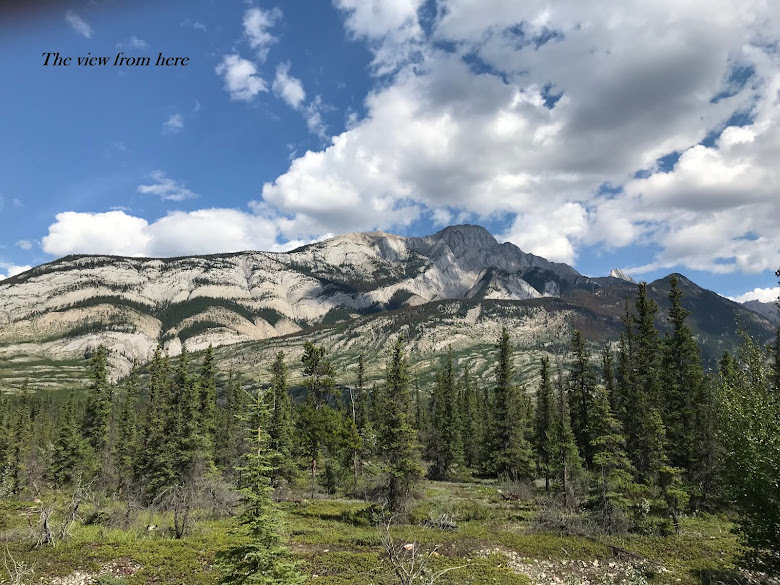 All of the photos I took were from the road. I had been wanting to visit this place ever since I stumbled across it on Google Maps. I drove a ridiculous amount on November 12, 2017 to get here. 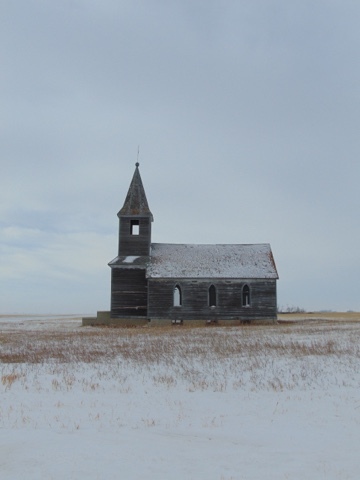 This place is north of Francis, Saskatchewan and is an abandoned Lutheran Church. There is a small cemetery in the back. 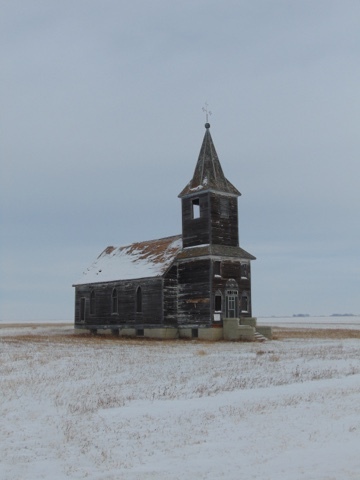 There are quite a few abandoned churches in Saskatchewan. There seems to be more Lutheran ones. 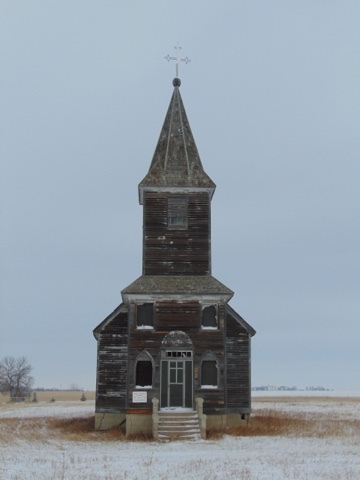 I am not sure if there are more abandoned Lutheran ones as opposed to other denominations or it just seems that way. 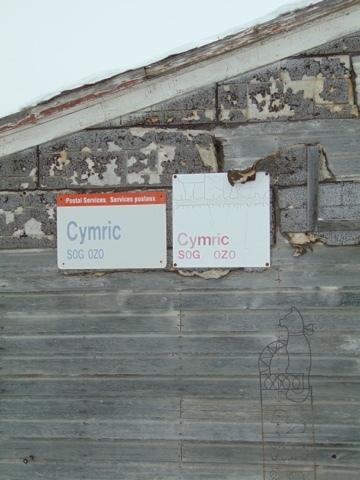 I have seen them turned into residences, storage, and a few times squatters have taken over abandoned churches. Personally I would like to see them restored or let them fade away. There is a sign on the front saying it operated from 1926 - 1960. The entry and openings are secured by metal screens. There is little around for miles. 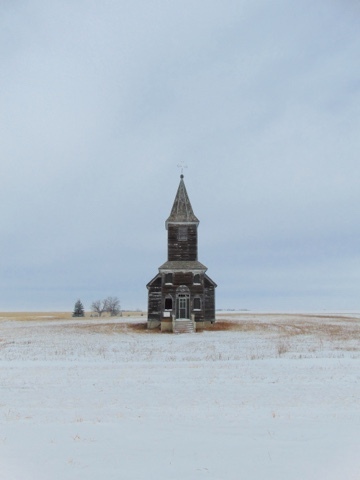 This place looks and feels lonely out in the snow in the middle of nowhere. 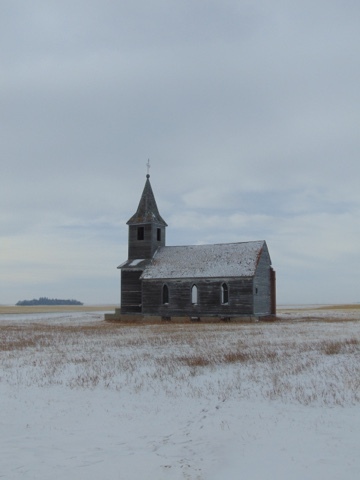 It is a great looking old church that I hope stands for years to come. There is sort of a side story to this photo. I have posted this on a couple of forums. A person that I know who is a professional photographer loved it and wanted to know what I am using for a camera as well as the settings. The truth is, which I told him, I really do not know anything about that stuff. I just take the camera along to record where I have been. I suppose I should learn how to actually use it sometime. Hills maybe. Mountain not so much. 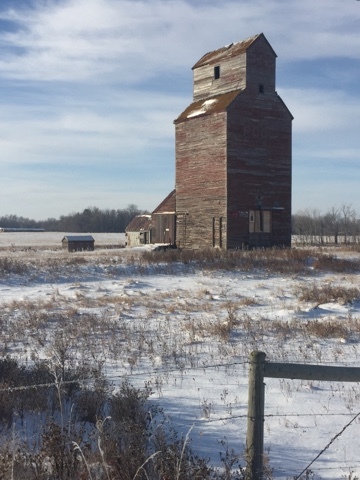 This is south of Nokomis, Saskatchewan on November 11, 2017. 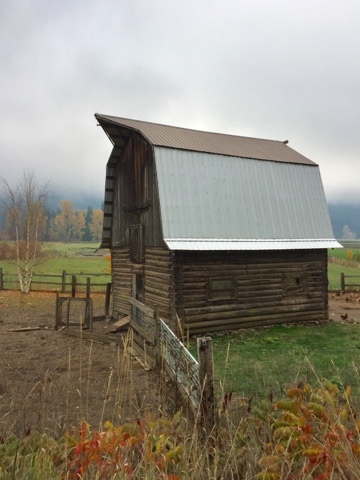 This is a former one room schoolhouse that looks like it was converted into a granary. 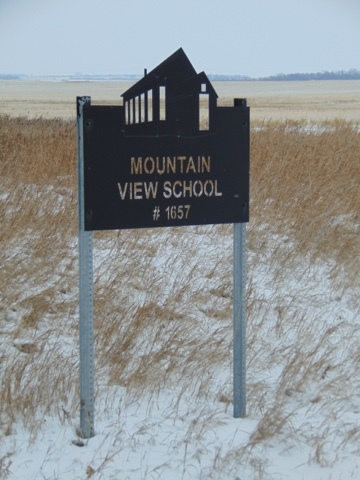 There might be a few hills but there definitely are no mountains in this part of Saskatchewan. There are no mountains in sight either. Since these seem to be popular posts . 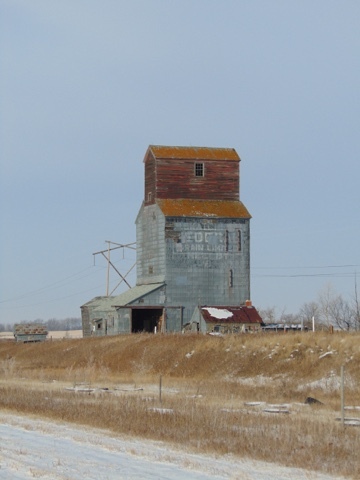 . .
For some reason grain elevators are some of my most popular posts. I have no idea why and have no interest in finding out. I just happen to like them. 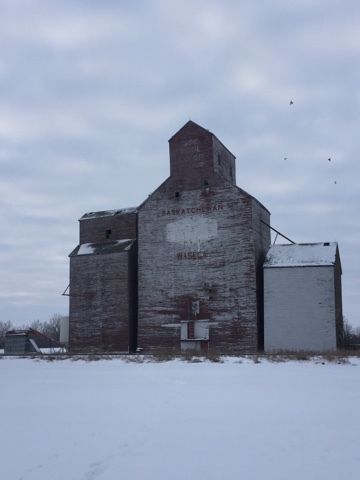 This is at Waseca, Saskatchewan, November 11, 2017. 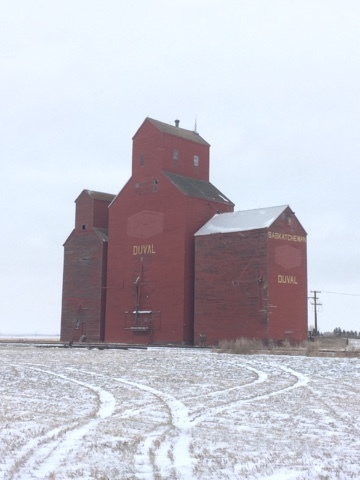 Duval, Saskatchewan November 11, 2017. A little bit here, change that there . . . The secret to finding stuff . . .